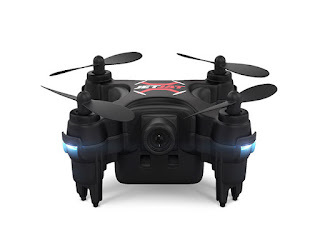 The easiest drone to fly on the planet is the JetJat Ultra Nano Drone! Simply click a button to take off, maintain altitude, and land like a pro with the auto-land feature. Built to fit right inside of its controller for easy transport, and set up to live stream the camera feed to your phone, you can get an incredible first-person view from anywhere.